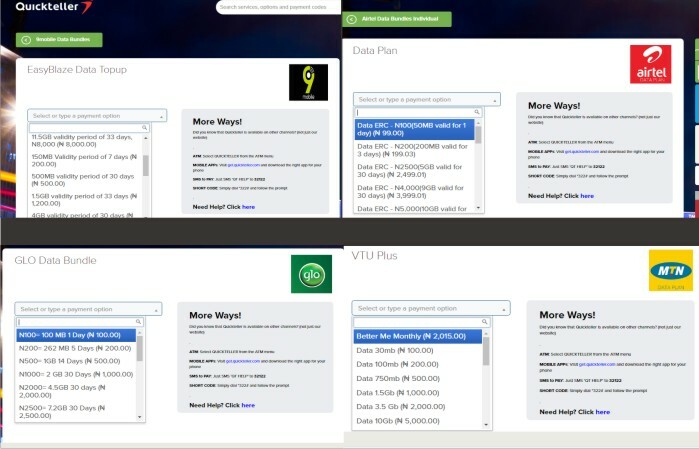 There are several methods of transferring money via the web. This includes bank app, other online money transfer medium such as PAGA and individual POS store who helps to transfer money from one bank to the other. Even with the advent of mobile transfer using USSD codes, people often find it difficult to transfer money and this is frustrating sometimes. Yes I have been frustrated many times basically because of the lack of maintenance by most banks for their online mobile transfer system. With Quickteller,Transactions gets delivered fast and successful. It is a safe system as you would be sent ‘safe token’ digits to your mobile number used to register your bank account to complete your transaction. 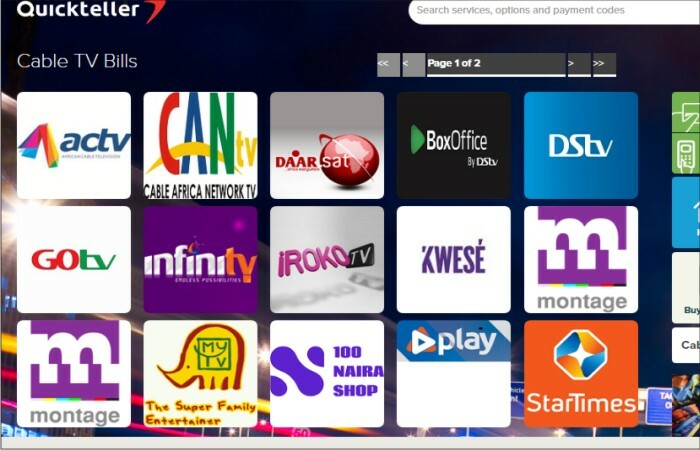 Quickteller also offer other services such as Airtime purchase, Bill payment such as Dstv, Gotv, Electricity, Tax e.t.c. You can also use quickteller to buy data bundle for your respective networks. 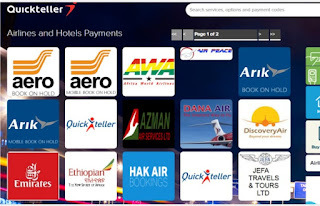 The beauty of quickteller is you can add as many card as possible and save it in your E-wallet. 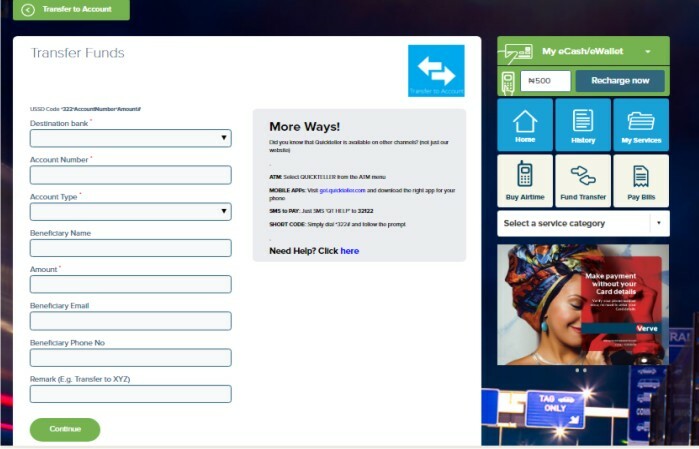 Then once you need to make a transfer, all you need to do is select the bank card you want to transfer from, input your ccv2 and your pin code (same password for your ATM). 1. E-MAIL: You need to provide a valid email address where details of all the transaction done can be sent to for verification purposes. 2. NAME: Your first and last name is required. 3. PHONE NUMBER: Make sure you supply a valid phone number that is active to get notification of transactions. 4. PASSWORD: Make sure you provide a long password of at least 8 characters and make sure it is alphanumeric i.e. alphabet and number. For example “abcdefjk19”. This is a strong password and makes it difficult for hackers to get. 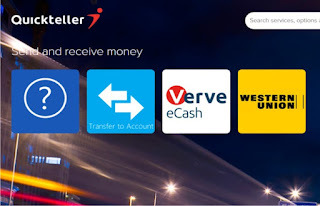 WHAT YOU NEED TO START TRANSFERRING MONEY EASILY WITHIN 1 MINUTE? Your ATM card serial number. This is the 16 digits which can be found on the front of your card. ATM card cvv2 number. This is the 3 digits on the back of your card. ATM card password. The same password used at the ATM is needed to authenticate your transaction. NOTE: your password is secured and safe. Next post would show you the step by step pictorial guide on how to transfer fund on quickteller. Make sure you stay tuned.